We’ve all grown familiar with horror stories about technological mishaps involving personal assistant bots, like Alexa and Siri, and self-driving cars. In March 2018, a woman in Tempe was killed by a self-driving Uber SUV—a vehicle programmed by deep learning algorithms that constitute artificial intelligence (AI) technology. The company immediately suspended testing until improvements could be made. But when considering the implications of AI technology in the future of aviation, there are major players, power moves, and predictions that hint towards what's in store. While self-driving cars still have a long way to go, AI is not disappearing any time soon, and major players in the aviation industry, like Boeing, are investing in technologies that may be getting us closer to personal forms of air transport, self-flying airplanes and pilotless aircraft. This third option is an attractive investment for airlines. Humans are, after all, fallible and expensive. We have pesky needs like having to eat, sleep, and see our families. Pilotless aircraft could eliminate all these inefficiencies, and Boeing is starting to explore how to make it possible. In 2015, Boeing took a major step towards embracing AI and machine learning by partnering with Carnegie Mellon University’s Language Institute to research possibilities for machine learning, language technologies and data analytics in aviation. When the Washington Post announced the partnership, it quoted Aerospace Data Analytics Lab Director Jaime Carbonell’s outline for an audacious plan for “self-healing airplanes” that would forever transform the aviation industry. In addition to harnessing data analytics for healthier planes, Boeing’s sponsorship of the Go Fly Prize, a $2 million award given to innovative ideas in personal flight, underlines its interest in alternative forms of flight. The Phase I Go Fly Prize winners were announced on June 14 and included 10 VTOL designs with appearances that range from glorified lawnmowers to self-propelling oval-shaped pods that would look right at home in an episode of the The Jetsons. A timeline on the Go Fly Prize website identifies milestones of human flight, like the Flying Pulpit, the Gossamer Condor, and Hiller’s Flying Platform—all machines with room for one flyer that manifest the dream of “pure human flight.” President and CEO Dennis Muilenburg confirms Boeing’s interest in alternative forms of human flight by announcing in March that air taxis may take to the skies sooner than we anticipate. Another critical move by Boeing is its acquisition of Aurora Flight Sciences, which aims to “disrupt the future of aerospace mobility” with autonomous technologies for aircraft systems. 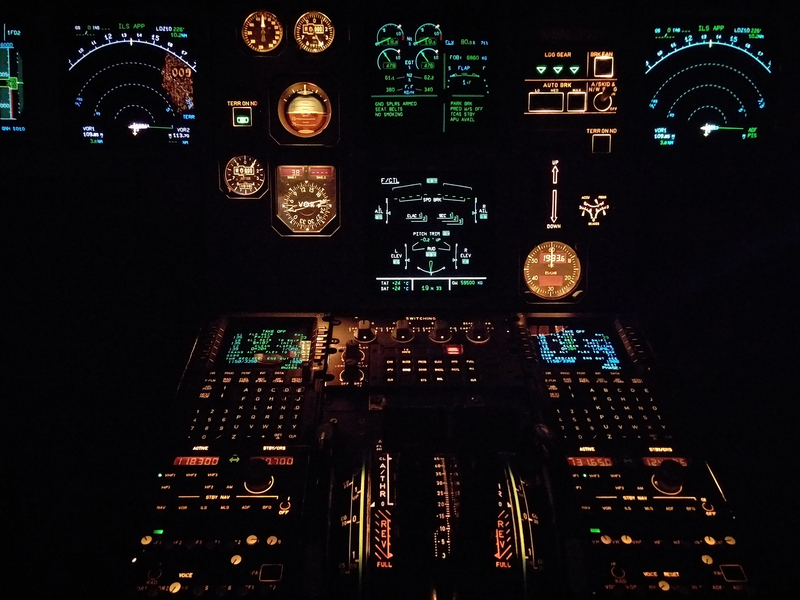 Other companies similar to Aurora Flight Sciences, like Spark Cognition, are making headway in the aviation industry with machine learning solutions that, according to its website, can cut maintenance costs and improve asset liability for major aviation operators by 35%. Most notably, however, in Boeing’s path towards autonomous aviation, is its sponsorship of the fifth annual Machine Learning and Data Analytics Symposium in Qatar in March 2018. The symposium brought together researchers and experts across academia and industry to discuss applied AI research and critical issues in machine learning. Seema Chopra and Ramsis Adam, both of Boeing, delivered presentations that illustrated the impacts of machine learning algorithms on human interaction and best practices for applying AI research, respectively. Based on these inroads over the past few years, we can surmise that Boeing is indeed invested in exploring AI in aviation, but only to a certain degree. Can we indeed anticipate a robot flying us from Seattle to Los Angeles any time soon? Not so fast, says Alan Boyle, aerospace industry expert and editor at GeekWire, who offered his insights on Boeing’s involvements with machine learning and AI. Before we can even get to speculating about pilotless planes, urges Boyle, we need to consider how machine learning can impact other spaces within the aviation industry, like production and maintenance. Boeing’s investments indicate its interest in cost-saving machine learning and data analysis technologies that can improve how and when planes get maintained. “There is so much data available now in the aviation space, so the idea is that you’d be able to predict maintenance schedules, or when a component is going to fail, so you can take care of those issues before they actually occur,” says Boyle. You know how sometimes you’re sitting on a plane, waiting to take off, and you hear an announcement about a maintenance-related delay? Data analytics and machine learning could prevent these nuisances from happening in the first place, making for happier passengers and less money wasted on lost flying hours. All of these benefits sound great, but what about the people tasked with performing maintenance checks now? They won’t be completely left out of the loop, says Boyle. “Boeing has voiced its commitment to augmenting, not replacing, humans in aircraft manufacturing and maintenance.” But, future mechanics will have to look forward to collaborating with machine co-workers. This could mean that companies like Spark Cognition, with its machine learning technologies, will play a much bigger role in the aviation industry. Some aviation enthusiasts will gripe that “the last fighter pilot has already been born.” Given the current state of self-driving cars, and the step-by-step progress of Boeing tip-toeing into the world of AI and machine learning, we may still have another generation or two of fighter pilots who can share their stories with the Museum before we have to make room in our galleries for displays on machine learning and robot pilots. Want to learn more about the evolution of aviation technology? Check out our Great Gallery!